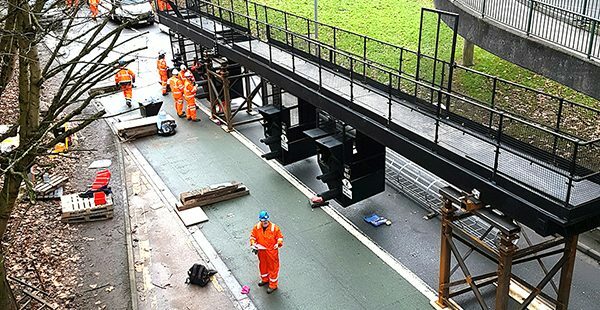 State-of-the art signalling technology is being installed in South Wales to allow more trains to run along the track and so increase passenger capacity, particularly at peak times. 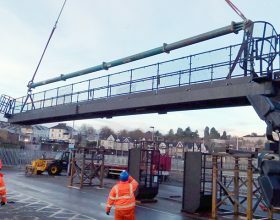 The works have included re-signalling the line in the area east of Port Talbot East, from Llantrisant to Baglan, the Newport area from Pilning to Newport station, the lines in the Valleys railway, and in the Cardiff area from Newport station to Llantrisant. 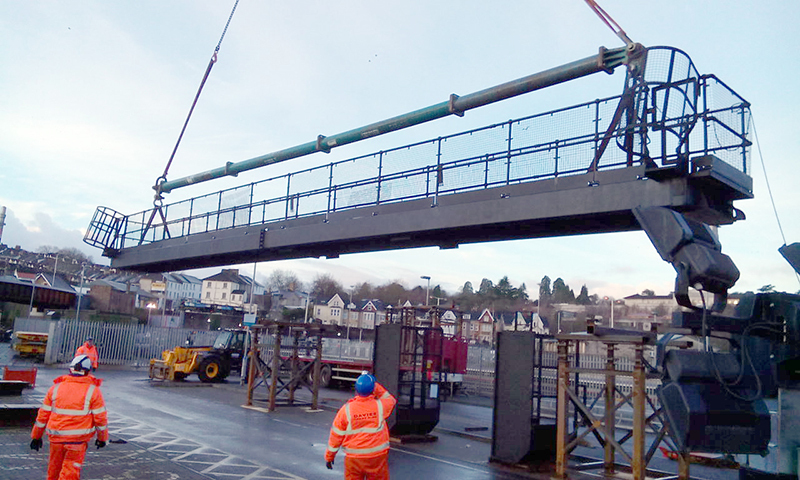 Current re-signalling works are being carried out in the area west of Port Talbot, from Baglan to Llanelli. 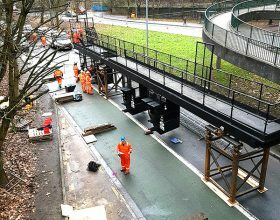 In addition to faster journey times, re-signalling the lines on the South Wales railway will mean more reliable journeys with fewer delays. 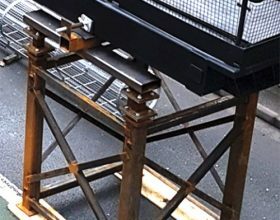 Initially the use of proprietary temporary works materials were investigated, however these were discounted on cost, sustainability and adaptability. 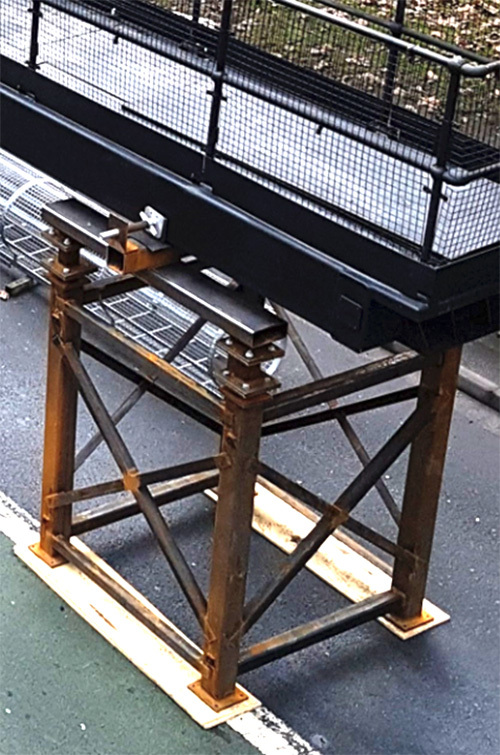 The final solution involved a two-stage off-line process, with stage one comprising the jointing of the boom elements close to ground level to avoid working at height, followed by supporting the boom on bespoke trestles to allow the connection of the dropper cages. The trestles were designed by PaSCoE and fabricated from steel stock sections. 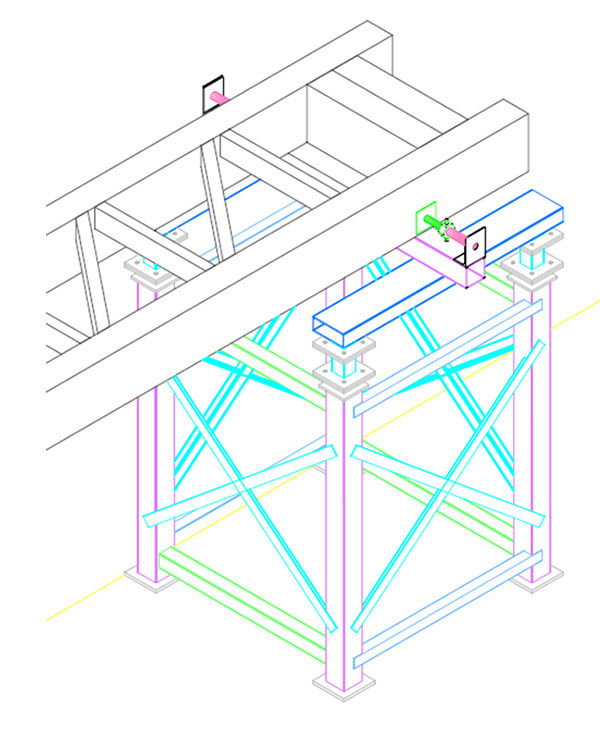 Proprietary jacks were bolted into the trestle to allow for level adjustment. 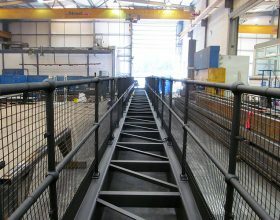 The trestles also allow for scaffold attachment should access at a higher level be required. 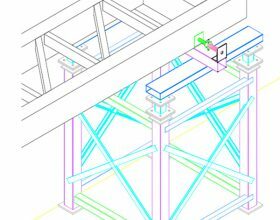 Reduced weight whilst maintaining robustness was also a careful consideration as the intention was to allow for the trestles to be easily moved between sites thus allowing for multiple use and minimising recurring costs. The system has performed very well and has been used multiple times without issue. 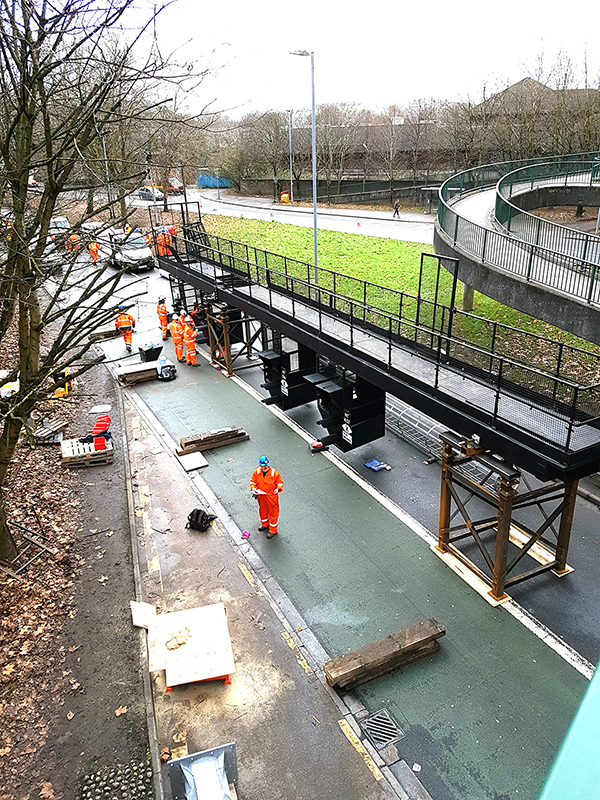 Network Rail have been particularly pleased with AMCO’s method of working which has managed and minimised the risks of working at height.